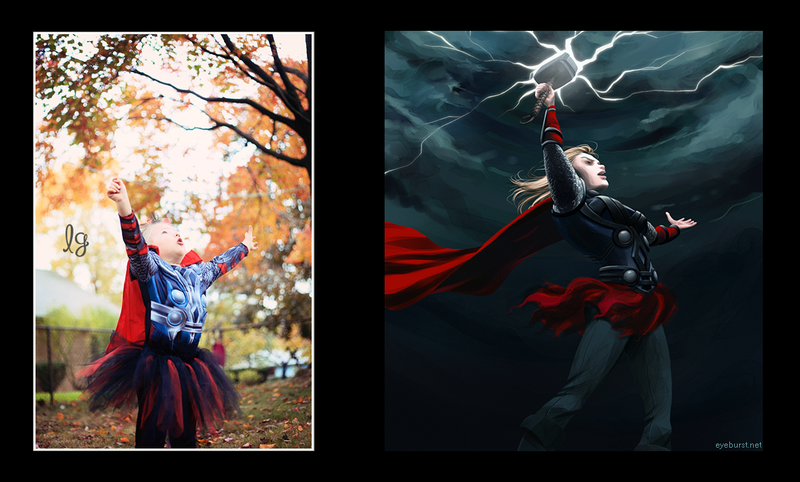 First there was Superheroes are for girls, too!, a website which showcased little girls who love superheroes. Now there's also Little Girls Are Better At Designing Superheroes Than You, a website which illustrates photographs of superhero-loving little girls. They're heartening pictures. Kids are more impressionable than you, but kids can also be less restricted by cultural gender norms than you. Kids are more creative than you, and they're better at making superheroes than you. This is a mini art project where I draw superheroes based on the costumes worn by little girls.